threads so you can use your SCT adapters and accessories on your ETX. a bunch! 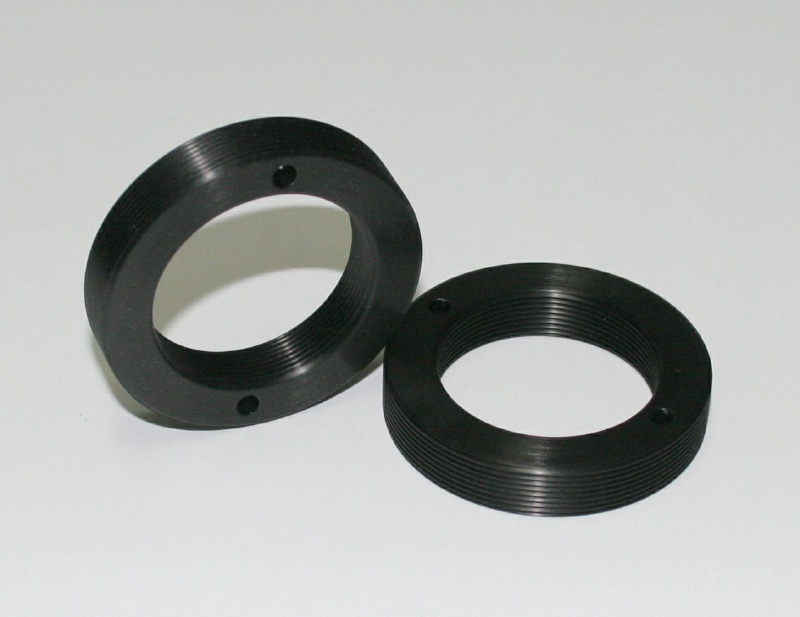 Machined aluminum, black anodized, 0.375 overall thickness. Fits some C90's, but only those with a visual back that measures 34.5mm! 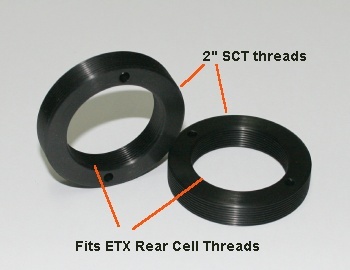 $26.00 - #TSCP - SCT Schmidt Thread Cap - Fits the 2" SCT threads on the #ETXA, not the back of the ETX!